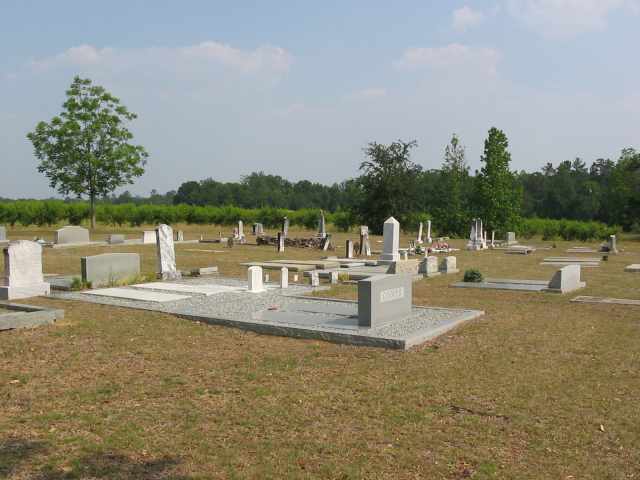 This cemetery is located north of Morven, on County Road 177 (Old Coffee Road). To get to the cemetery from Morven, drive north on Georgia Highway 76 (Adel Highway) about a mile until you reach the intersection of County Road 177. Turn right (east) on Co. Rd. 177 and the cemetery is about one-half mile on the right in an open field adjacent to the highway. There is now a granite marker. Morven is located about 12 miles north of Quitman on Highway 76. It is also about 20 miles northwest of Valdosta on Georgia Highway 133. 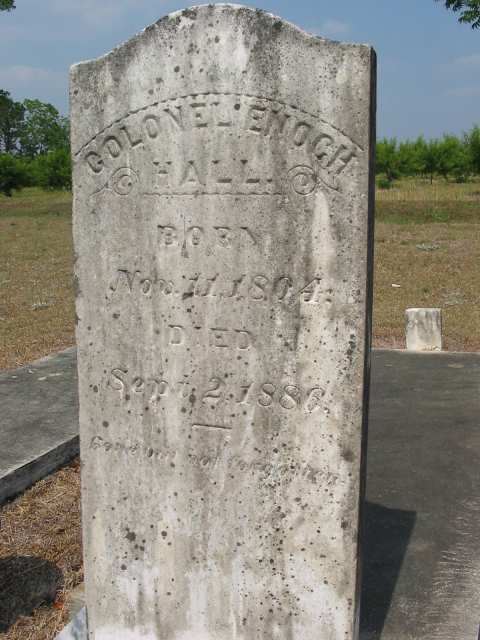 There are numerous Halls and Pikes buried in this cemetery as well as a dozen or so other surnames, all related in some way to the Halls. The earliest marked grave is that of John Pike who died in 1837. 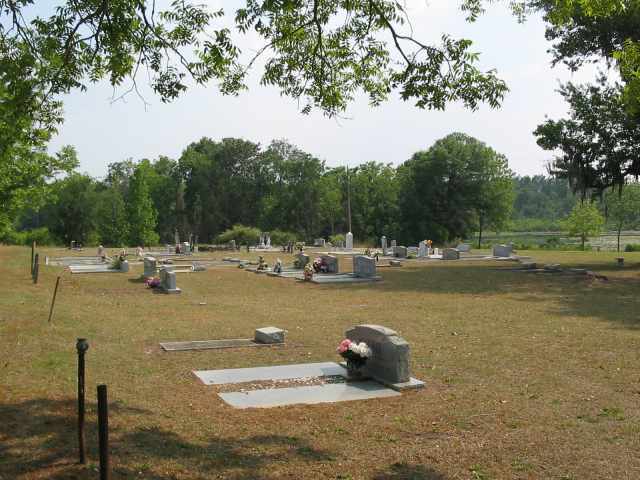 A 1990 cemetery survey (Click Here) is available in the RootsWeb archives. 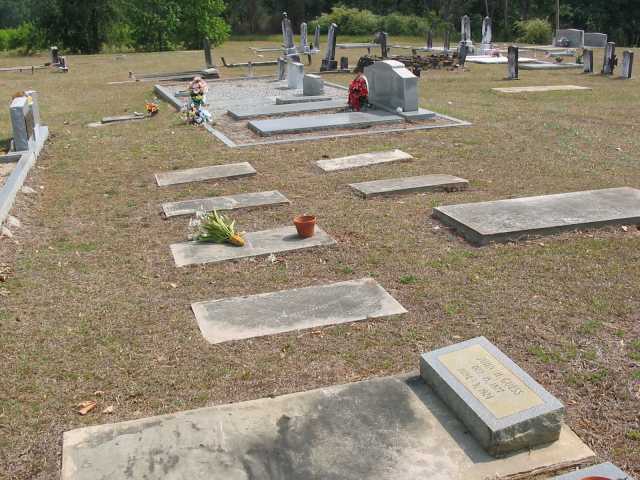 May 2007 information on additional or modified headstones (not included on the 1990 survey) is shown below. Find-A-Grave also has a listing of burials at this cemetery. 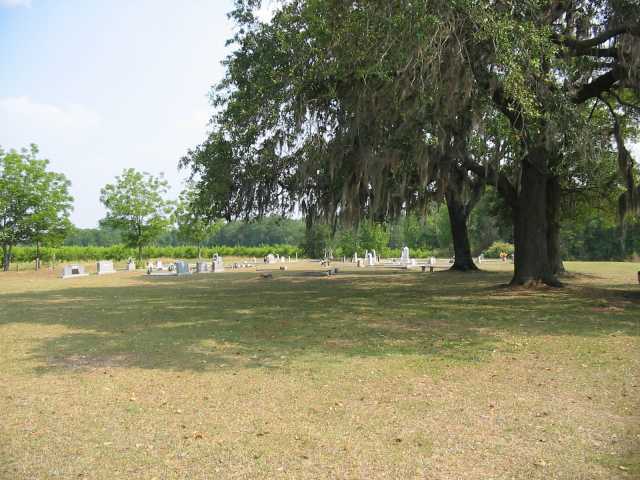 Below are photographs of the general cemetery area. Click on the image to view the full size photo. The center photo is of Enoch Hall's headstone. GUESS, William Roy, Sr. 26 Jun 1918 5 Sep 2004 Tec 5 US Army World War 2 Triple headstone with Audra Chapman GUESS and William Roy GUESS, Jr. GUESS, Audra Chapman ** (none) Triple headstone with William Roy GUESS, Sr. and William Roy GUESS, Jr. GUESS, William Roy, Jr. ** (none) Triple headstone with Audra Chapman GUESS and William Roy GUESS, Sr.